27 January 2019, Yezin, Myanmar - Dr. Jacqueline Hughes, the Deputy Director General for Research of the International Rice Research institute (IRRI), was a special guest at the 65th anniversary celebration of Myanmar’s Department of Agricultural Research (DAR), and received on behalf of the institute a plaque of recognition for IRRI’s valued partnership and contributions to research for the country. This historic event for DAR, which is Myanmar’s sole public institute dedicated to agricultural research, was attended by almost 300 guests, including the permanent secretary of the Ministry of Agriculture, Livestock and Irrigation (MoALI), members of the Nay Pyi Taw Council and the parliaments, representatives from international organizations such as IRRI, ICRISAT, KOPIA-RDA, FAO, and JICA, local development and private sector partners, senior officials of departments and universities, scientists, researchers, and farmer cooperators. In the speech given by Dr. Hughes, she affirmed that IRRI remains committed and eager to strengthen ties and engage more closely with the Government of Myanmar and the Department of Agricultural Research, and to continue having successful collaborations in agricultural development. 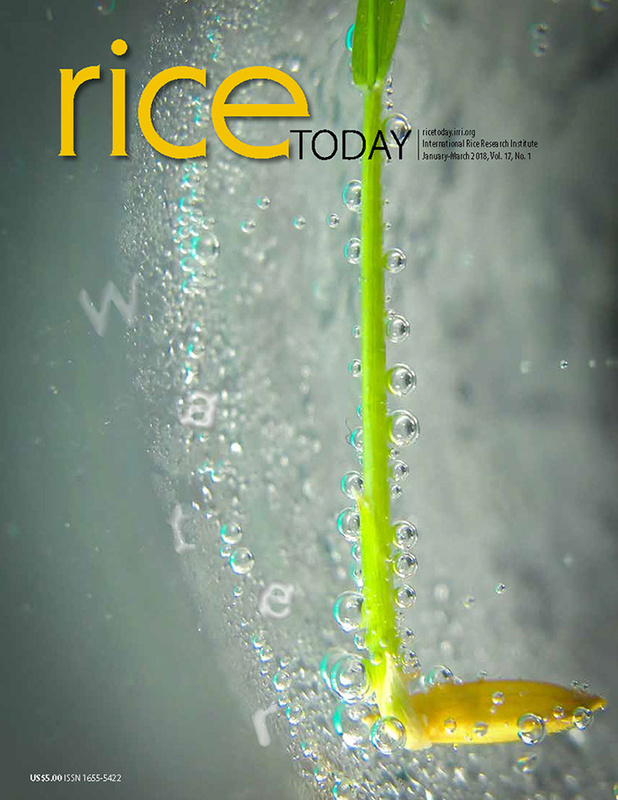 IRRI and Myanmar have been collaborating on rice research for more than half a century, beginning with the 1967 introduction of the high-yielding IR8 rice variety (locally called “Yar Gyaw”) which yielded more than a hundred baskets per acre. 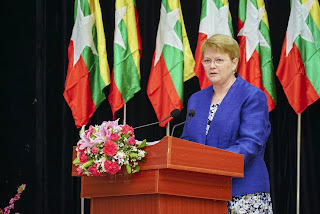 Recent key achievements include the launches of the Myanmar Rice Sector Development Strategy and Climate-Smart Agriculture Strategy, the release of 81 IRRI-improved rice varieties, the dissemination of post-harvest technologies and best crop management practices, as well as a series of capacity building activities. “To boost research activities, DAR should communicate and link with local and international organizations,” said MoALI permanent secretary Dr. Khin Zaw during this opening remarks. DAR was established in 1954 as the Agriculture Research Institute and was renamed the Department of Agricultural Research in 2004.